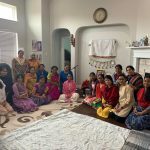 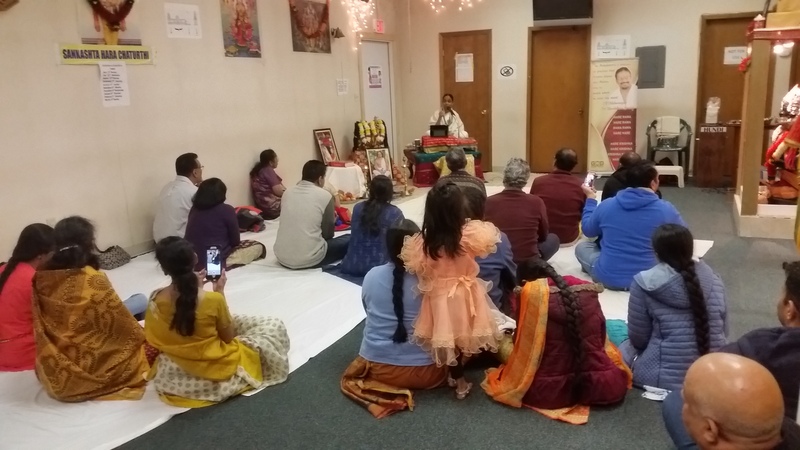 The Lakshmi Ganapathy Temple of Dublin OH had invited Sri Poornimaji to perform a 3-day discourse on “Bhagavata Saaram”. 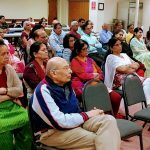 This was held from Jan 19-21, 2018. 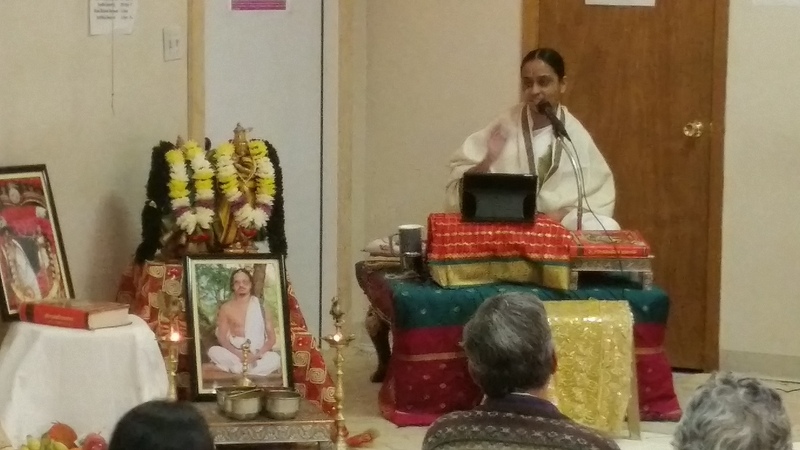 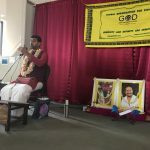 Over the three days, Sri Poornimaji covered the entire essence of Srimad Bhagavatam and conveyed the simple message of Bhakti and Nama Sankirtan. 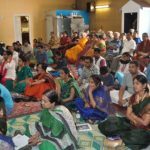 On the first day, the greatness of Srimad Bhagavatam was explained by stories from various scriptures like the Padma Purana. 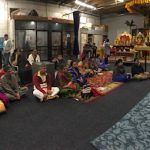 This was followed by the essence of Bhagavatam as described in the first three verses of Srimad Bhagavatam and the story of Sage Narada. 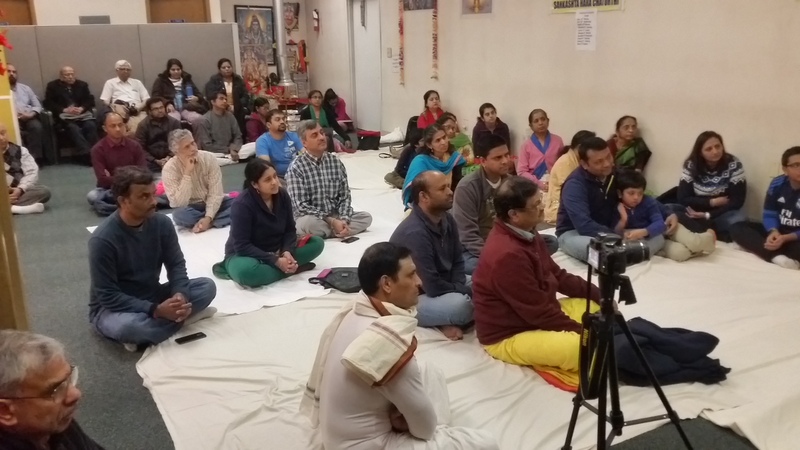 The greatness of Satsang and Nama Kirtanam was brought out on Day 3 as the culmination of the three-day discourse series. 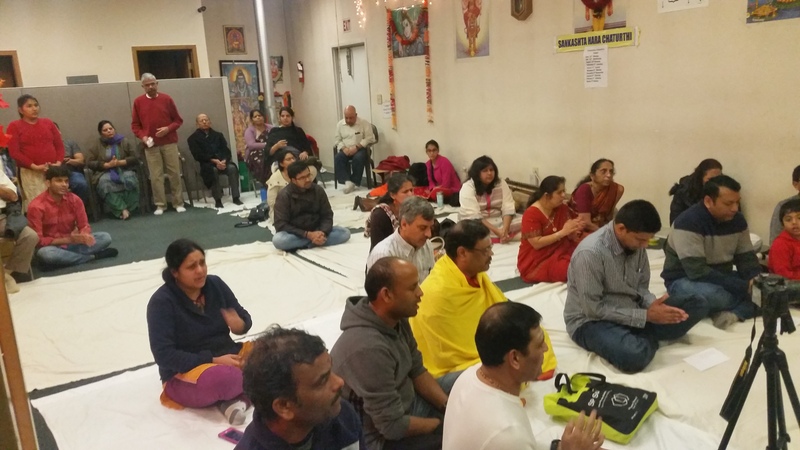 More than 50 people enjoyed the discourse on each day and took home the Prasad of Mahamantra. 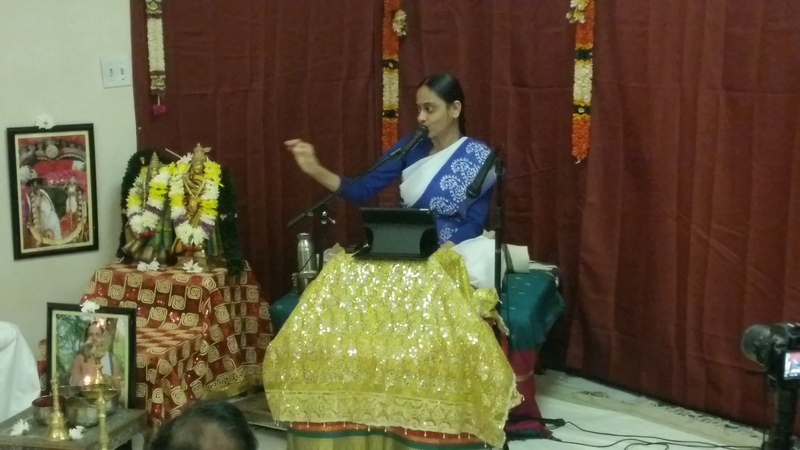 Shri Parthasarathyji- Smt. 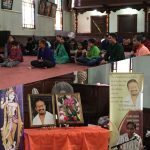 Jayanthi Parthasarathyji family coordinated the program.